“The stakes for Ohioans are too high to give this justice a lifetime appointment to our highest court,” wrote Senator Sherrod Brown on Twitter. 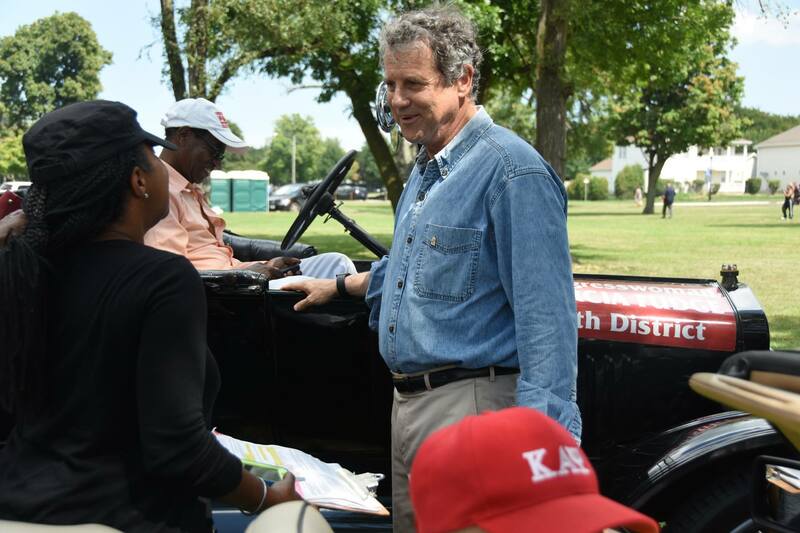 In front of a large crowd of Democrats at the King Arts Complex on Sunday afternoon, Senator Sherrod Brown voiced his disappointment in the Brett Kavanaugh hearing. Kavanaugh was appointed a U.S. Supreme Court Justice by a Republican-controlled Senate 50-48 vote. Brown told the crowd he had decided to vote “no” even before Christine Blasey Ford gave her emotional testimonial of being sexually assaulted by a teenage, drunken Kavanaugh to senators. “I’m grateful for her that she did come forward even at great personal cost and great personal risk. I believe Dr. Ford,” Brown said, per The Dispatch. He added that more than 50 people, mostly women, have contacted his office to give their own accounts of sexual assault. “Even though we did not win the vote in the Senate (Saturday), we see you, we hear you, your story matters, and you are making a difference telling that story,” Brown said. Harris said she will decide on a possible presidential run after the November mid-term election, reports The Dispatch.